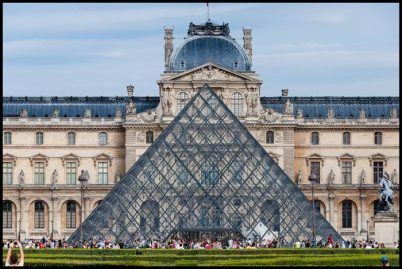 I don’t know if you have been to The Louvre but if you have you would know about the beautiful pyramid entrance structure built by the world famous Chinese American architect IM Pei. There is one large pyramid and three small ones in the main courtyard. 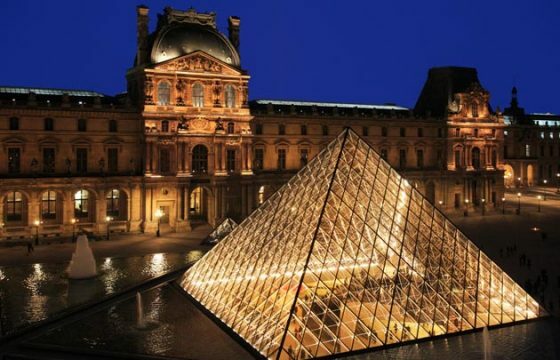 It opened in 1989 to much controversy – an ultra modern structure next to the traditional French palace structure. Made entirely of clear glass and metal poles, it is 21.6 m high with a 34 m square base. The surface area is 1000 square metres. The volume is about 9050 cubic metres. 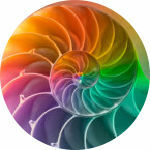 There are 603 rhombus shapes and 70 triangular shapes. 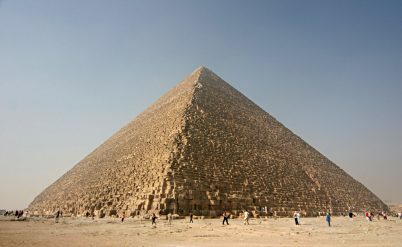 The Great Pyramid of Egypt, the Cheops Pyramid, is 138.8 m high now but was originally thought to be 146.5 m high – 280 Egyptian cubits. Each base side was 230.4 m long but with erosion the sides are now 230.24 m long. The total volume is 2 583 283 cubic metres.